"They are placing our already fragile health system in jeopardy," said Danne Howard, executive vice president of the Alabama Hospital Association. 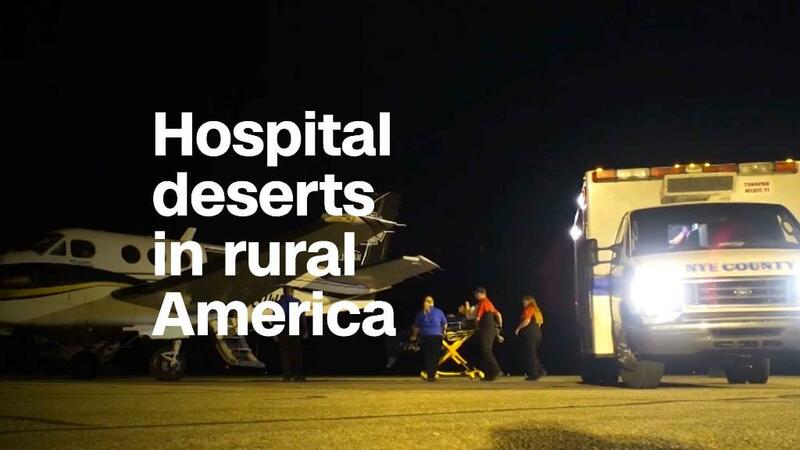 "More than 90% of our rural hospitals are already operating in the red. When you add further cuts to that, you are creating an extreme risk to our continued operations." Starting Jan. 1, the Trump administration implemented a $1.6 billion cut to what is known as the 340B Drug Discount Program. Begun in 1992, the program requires drugmakers to offer deep discounts to safety net hospitals for certain drugs prescribed for Medicare patients. Those hospitals still receive full Medicare reimbursement for the drugs, but can keep the difference between the discounted price and the Medicare reimbursement to plow into enhanced services to their most vulnerable patients. In November, the Trump administration announced the 27% cut to the 340B program. Money that once went to 340B hospitals will now be distributed far more broadly, to most hospitals. Related: This Mississippi hospital should be in crisis. How it beat the odds. Medicaid's Disproportionate Share Hospital (DSH) program is facing even larger cuts. Created by Congress in 1981, the program is designed to compensate hospitals that provide a significant amount of medical care for which they don't receive reimbursement. In 2012, there were 2,670 such hospitals, which represented 45% of all hospitals, according to the Medicaid and CHIP Payment and Access Commission, a nonpartisan agency that provides analysis to Congress. Under the Affordable Care Act, the hospital program was supposed to gradually wither away, since Medicaid expansion and subsidized health insurance through the ACA's health insurance exchanges was supposed to make it unnecessary. At the 248-bed Coosa Valley Medical Center in Tennessee, where CEP Glenn Sisk said about a quarter of the patients are on Medicaid, he anticipates that cuts to the two programs will cost his hospital between $550,000 and $650,000 this year. He said the hospital would do everything to keep the doors open, even if that meant cutting back on services or seeking another health care partner. He noted that Coosa Valley is the largest employer in the community, so its closure would have a devastating effect beyond loss of medical care. "This is," he said, "an extremely serious situation for us."